Many Appalachian Studies programs and centers today are dealing with multiple challenges. While some of these issues stem from financial pressures and budget cuts, others are due to shifting priorities and generational changeovers. Roundtable participants involved in Appalachian Studies programs at a variety of institutions, such as community colleges, and private and public four-year universities/colleges, will share their experiences and insights into how programs can respond to such challenges. In the spirit of community sharing, we look at this session as a real opportunity to work together to strengthen and sustain the academic and activist work in which we engage. We want to encourage innovative visioning among the group to generate ideas that provide positive opportunities for programs and centers to not merely survive but thrive. 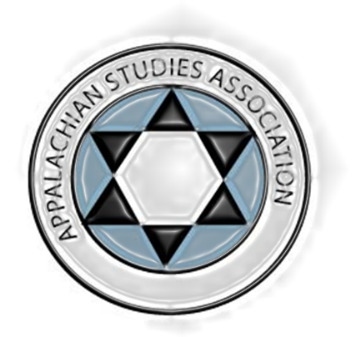 Importantly, too, we will discuss the Appalachian Studies Association's role as an organization representing the diversity of the region in demonstrating support for programs and centers. Theresa Burriss is the Chair of Appalachian Studies and Director of the Appalachian Regional & Rural Studies Center at Radford University. Alice Jones is the Coordinator of Academic Programs for the Eastern Kentucky University Center for Appalachian Regional Engagement & Stewardship. Shane Barton is the Program Coordinator for the Appalachian Center at the University of Kentucky, Lexington. Robert Gipe is the Director of the Appalachian Program at Southeast Kentucky Community and Technical College. Amy D. Clark is Professor and Chair for the Dept. of Communication Studies and Co-Director of the Center for Appalachian Studies. She is also the Director of the Appalachian Writing Project at the University of Virginia's College at Wise.